Welcome to Sewing Pattern Dress Zoe Sewalong! Today we start with some thoughts on your choice of fabric and with all the material and “equipment” you will need to sew dress Zoe. Then we’ll be giving you one week to pick out your fabric and gather your supplies. As written in the description Dress Zoe has two different sleeves and a Peter Pan collar variations that you also can leave out. By choosing one version you determine the style the style of your dress. If you decide to sew the version with short sleeves and Peter Pan collar, your dress will rather be a playful, romantic dress. However, by choosing dark fabrics or fabrics with large patterns you may again break this style and even this version becomes a little bit more classic. 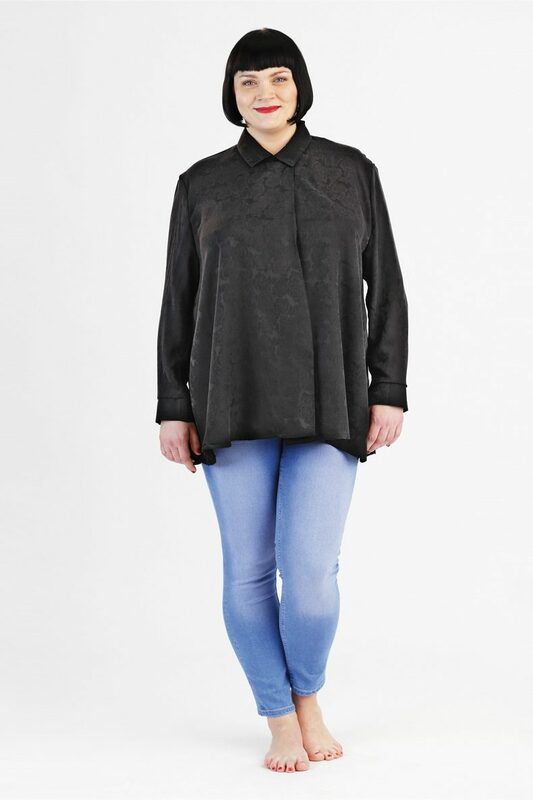 The cuff sleeves and a sheer neckline without collar on the other hand will give your dress a more casual touch. So, first you should you decide which dress version you want to sew and then it’s on fabric search. As recommended fabric I listed cotton, linen, lightweight wool or viscose fabrics. The fabric should in any case not be too stiff, but on the other hand not too loose. The fusible interfacing you may need for the cuffs, the collar and the neckhole BELEGE and makes your fabric sturdier. Thickness and color depends on the fabrics you use. 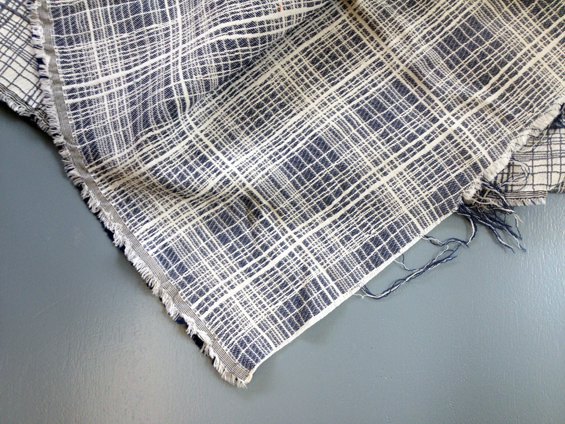 For my part I’ve checked my fabric range (which I definetely have to reduce step by step …) and picked a blue linen fabric with unregular white lines. 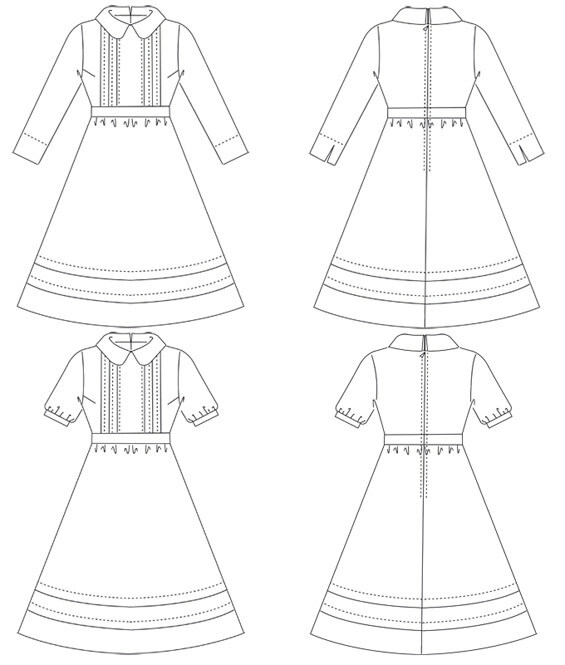 I will sew the dress without a collar with cuffed sleeves. I think this will be a nice autumn dress! 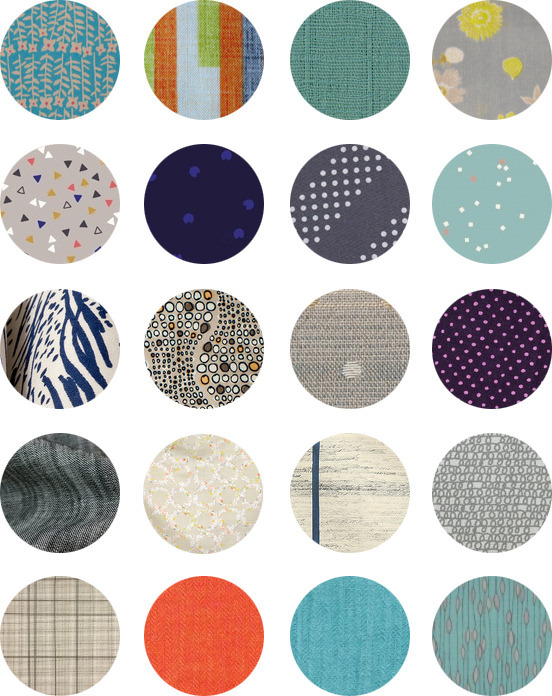 Here are a few different fabric options I’ve come across during my online window shopping and that I would like to have ALL and dress all autumn in different Zoes…. Now you only need your sewing machine – a standard sewing machine is doing wonderfully well – and yet some other “equipment”. Well, now it’s time to gather all the stuff you need, sharpen your scissors and give your machine a slug of oil. If you have any questions so far just post a your query at the end of this post. Next week we will directly head over to cut the fabric.